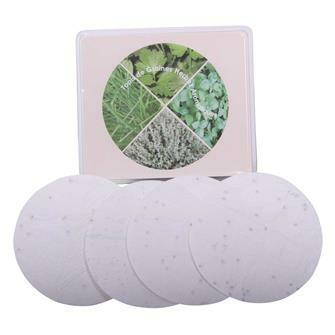 Seeds and grains for organic kitchen garden, seeds for companion plants in vegetable plots, seed tape and ribbons. 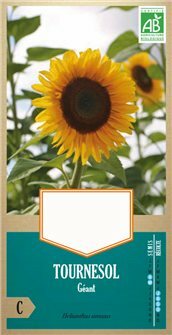 Discover a full selection of planting seeds for your market garden or for the flower boxes on your balconies and patios. 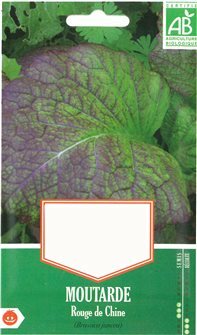 Purple Top Milan turnip seeds, a precocious variety. Tender and sweet pulp with a pleasant taste. Medium flattened root, completely smooth. 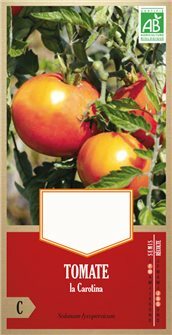 Gardener´s Delight tomato seeds, an early bloomer that is vigorous and productive, making fruit that weighs from 20 to 30 grammes. 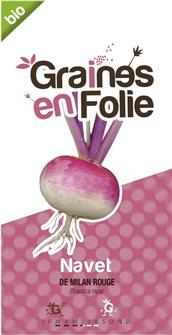 Firm skin that is filled with sweet, acidulous juice. 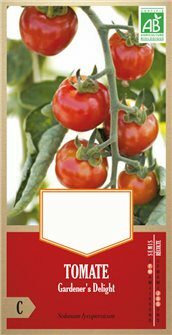 La Carotina tomato seeds, a variety that is resistant to illnesses, is quite flourishing and gives fruit that weigh between 200 and 250 g. A fruity, juicy interior that is very sweet-smelling. Excellent taste quality. 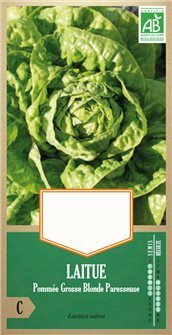 Packet weighing 0.19 g.
Fat lazy blond lettuce seeds: a large head and light green colour, an heirloom variety that resists high temperatures. A very good variety with tender leaves. Packet weighin 0.5 grammes. 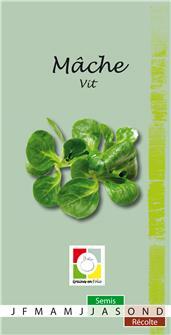 Vit lamb´s lettuce seeds, a productive strain with oval leaves that are tender and tasty. Small leaves that are ideal for autumn / winter production. Packet weighing 1 g.
Round Nice courgette seeds. This non-runner courgetts variety is precocious and very productive. The skin is delicate, tender and melts in your mouth. Packet of 1.6 grammes. Vegetable spaghetti squash, a runner squash. The interior is light yellow and after cooking it turns into firm strings. 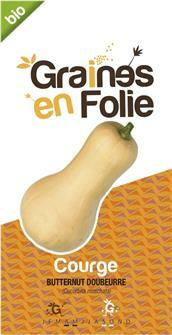 Packet weighing 2,33 g.
Butternut Doubeurre seeds, a late runnder squash with 4 to 7 fruit per plant. Orange yellow flesh that is buttery and melting like an avocado. Musky taste. 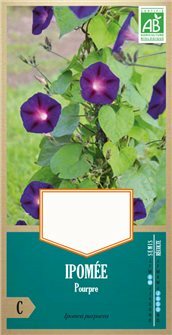 Ipomea purpurea seeds - organic - an annual climbing plant with purple flowers that blossom in the morningtime. 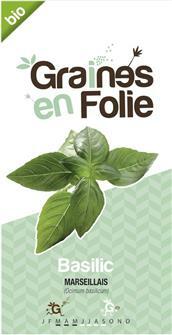 Height: 2 to 5 m. It enhances trellises and arbours. Packet weighing 3,8 grammes. 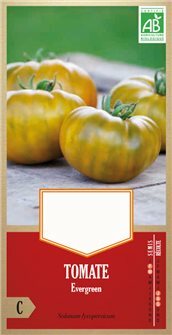 Mexican Honey tomato seeds, a late variety that is productive, resistant to drought and does not split. 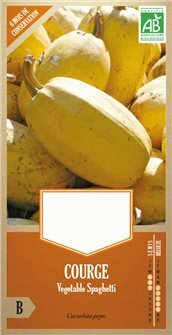 It yields juicy fruit with sweet pulp with a slightly acidulous taste. 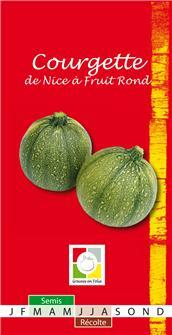 Sucrin de Tours melon seeds. 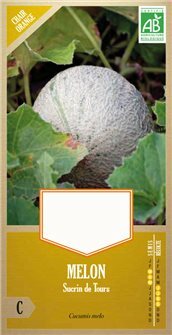 This melon is easy to grow and is semi-precocious with abundant production. The flesh is red to orange, thick, firm, sweet and of excellent quality. 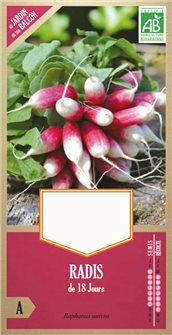 Packet weighing 0.40 g.
18 Day radish seeds, a radish variety for every month that grows quickly. Crunchy, with a pleasant taste. 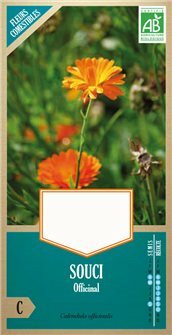 Packet weighing 7,7 g.
Organic marigold seeds, an annual whose light yellow or orange flowers are edible. Long flowering period. 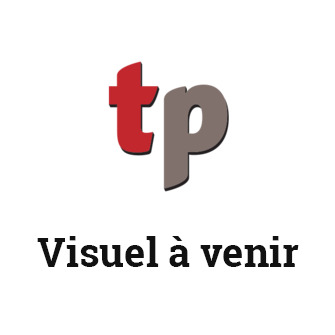 Height: 25-70 cm. A companion plant in a kitchen garden or in borders. 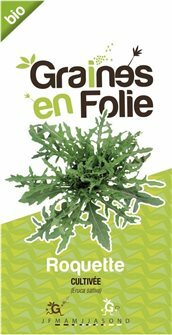 Rocket lettuce seeds with a pleasant, strong, peppery taste. 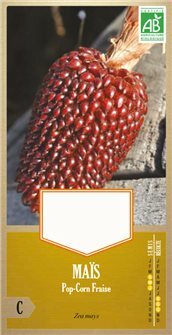 Packet of 0.25 g.
Organic Giant sunflower seeds for spectacular results. Use for decorative bouquets or to make your own oil! 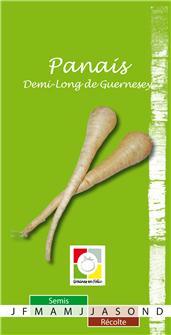 Half Long Guernsey Parsnip seeds. It fleshy root can be eaten cooked. Adds a pleasant aroma to soups. 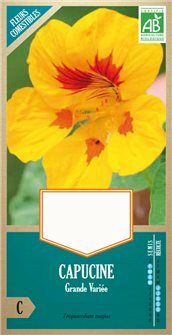 Packet weighing 1.45 g.
Organic large varied nasturtium seeds, a climbing annual that has large clusters of single flowers. Leaves, flowers and buds are edible. 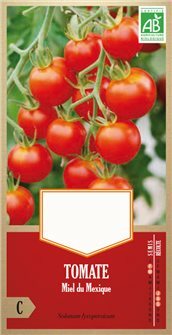 Evergreen tomato seeds, a mid-season variety that produces fruit weighing from 100 to 150 g. Green tomatoes. Packet weighing 0.09 g.